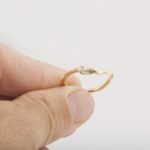 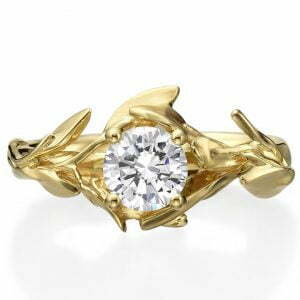 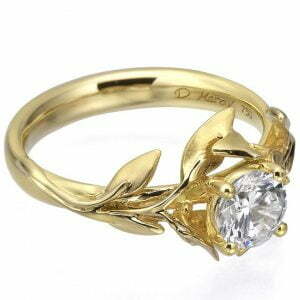 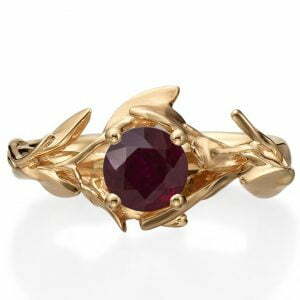 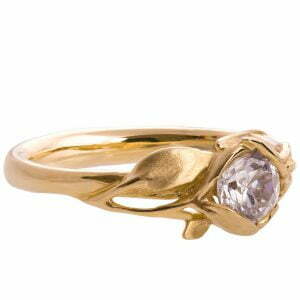 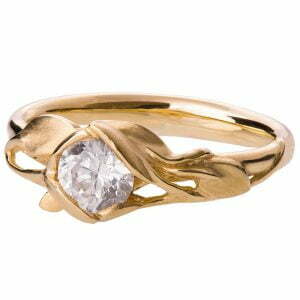 A handmade gold leaf ring set with a small clear diamond. 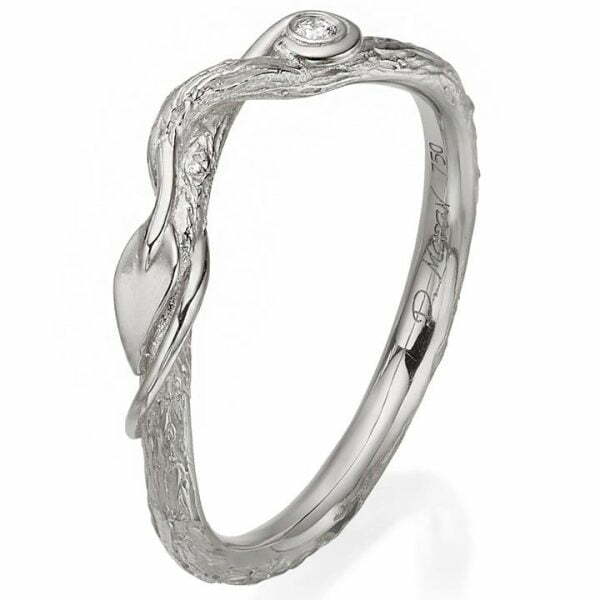 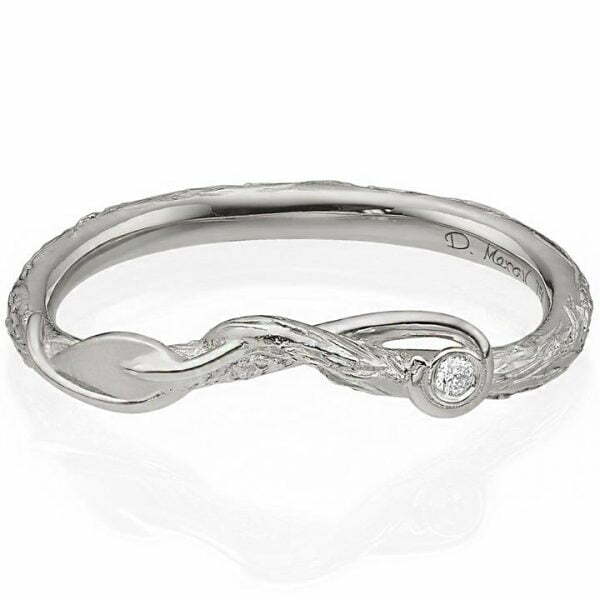 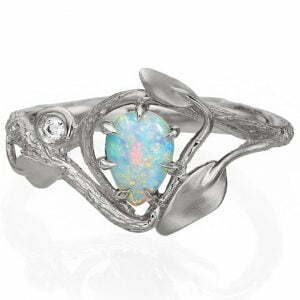 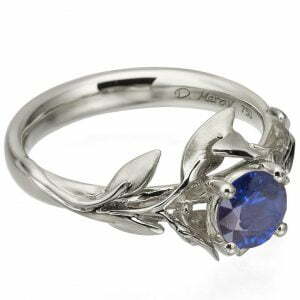 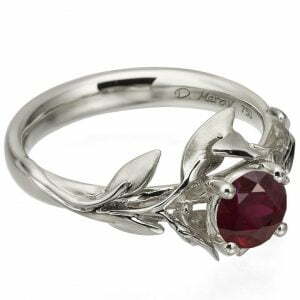 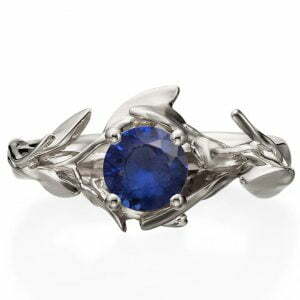 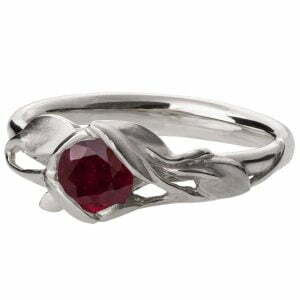 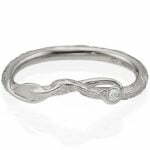 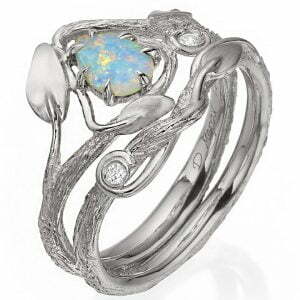 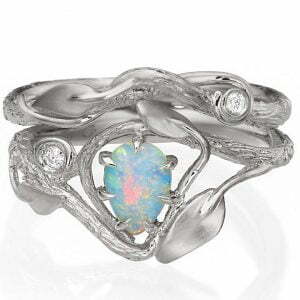 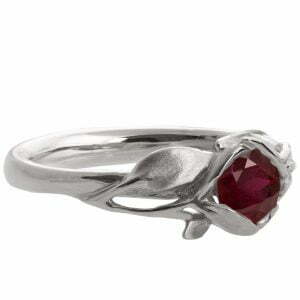 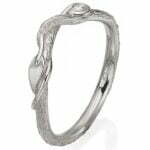 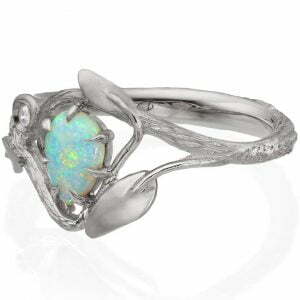 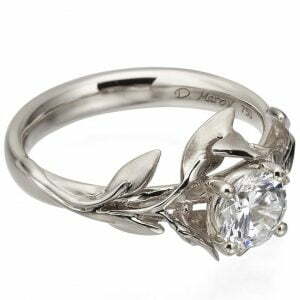 This ring is the matching band for the leaf opal ring seen in the variation bar. 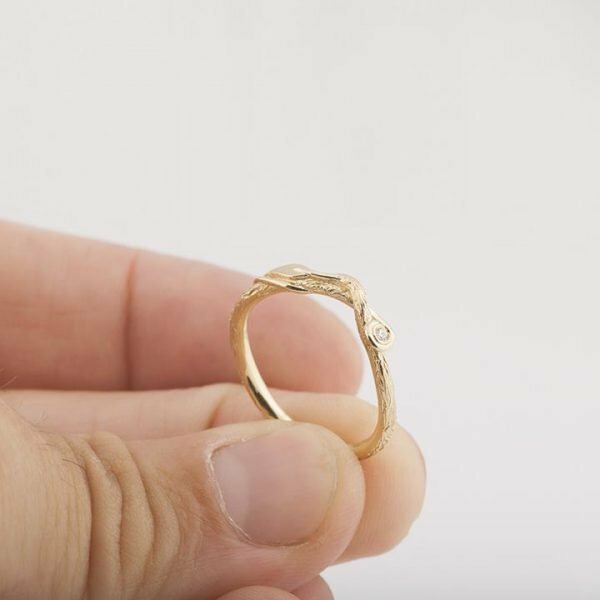 The band is about 2mm wide at the back and about 2.5mm wide at the top.